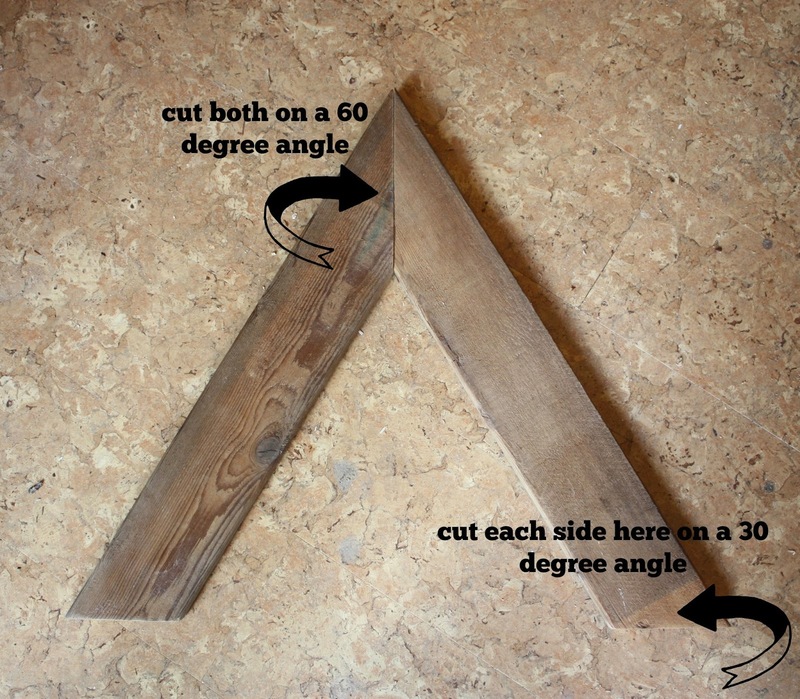 I've got another scrap wood project for you today! This one was prompted by my neighbor getting rid of a bunch of cedar fencing pieces. 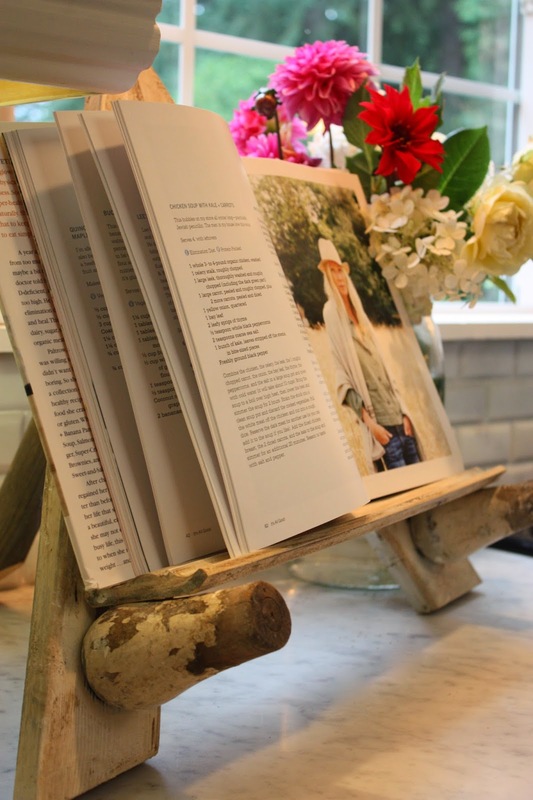 I will try my best to show you how I made this cookbook stand/easel. Here was the cedar fencing I started with. 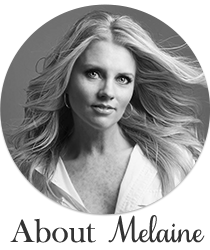 I will not give exact measurements because you can make yours any size you wish. So, start with 2 identical pieces of wood. If you are using new wood I would suggest a 1x4 piece of pine. 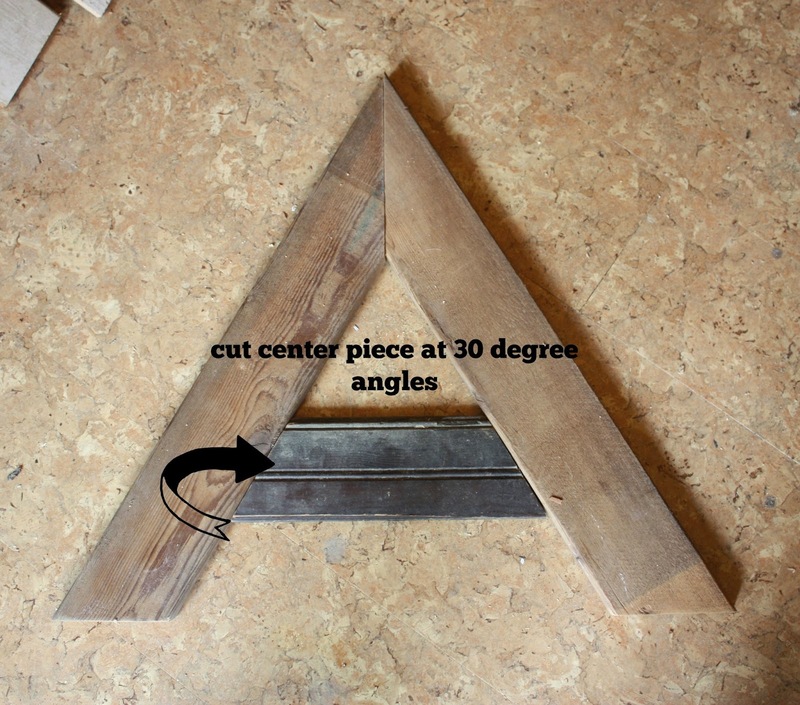 cut the top of the two pieces on a 60 degree angle and the bottoms of them on a 30 degree angle. Now you are going to cut a center piece, essentially making a large "A"
At this point I was wondering why I didn't just get a large wooden letter A from my craft store, which you could totally do and save yourself from all the cutting and measuring. You can use another piece of 1x4 pine here, but on mine I wanted to mix things up a bit, and get rid of extra scrap wood I had. I used my nail gun to nail it all together. Another option would be wood glue and a staple gun on the back. For the "ledge" I used a piece of moulding. 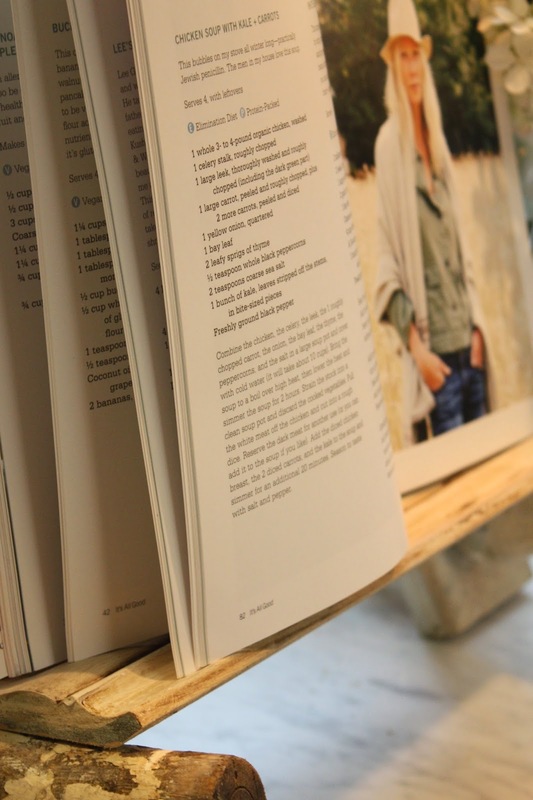 You will need something with grooves to hold your cookbook pages open, which is why I chose moulding. 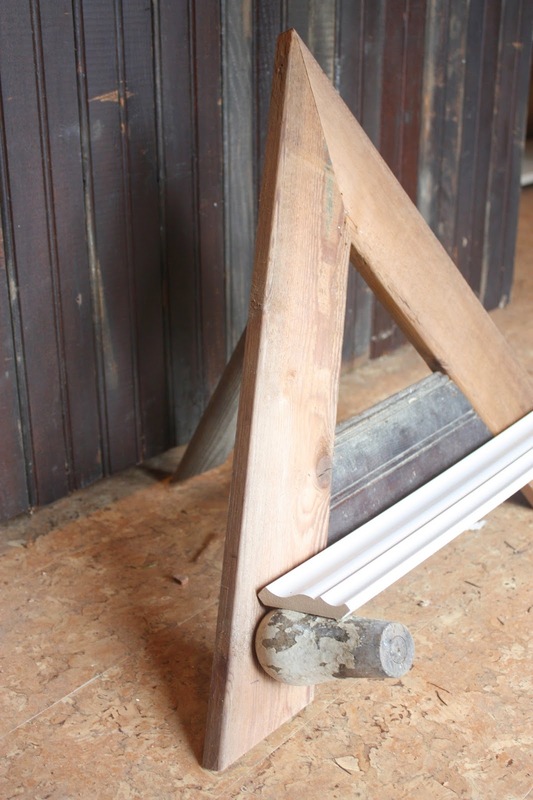 To attach the moulding I used some old wooden legs cut down. I attached these with the nail gun as well. Now, to stand the whole piece up you will need a large dowel. I didn't have a dowel so I cut down the handle of a old wooden boat oar. 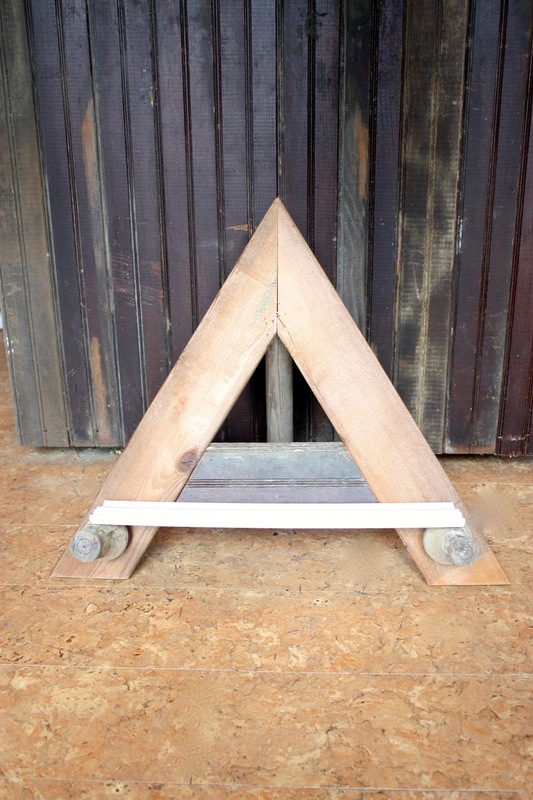 You will need to play with the angles on this, as that will determine how upright the stand will sit, or lean. Attach with the nail gun as well, or you could use screws or nails and a hammer. When the whole piece is done it will look like this. I decided to paint mine and while I would like to say I used some fancy technique, I really just slapped on different colors of paint, ending in Annie Sloan Old White, to create a layered look. 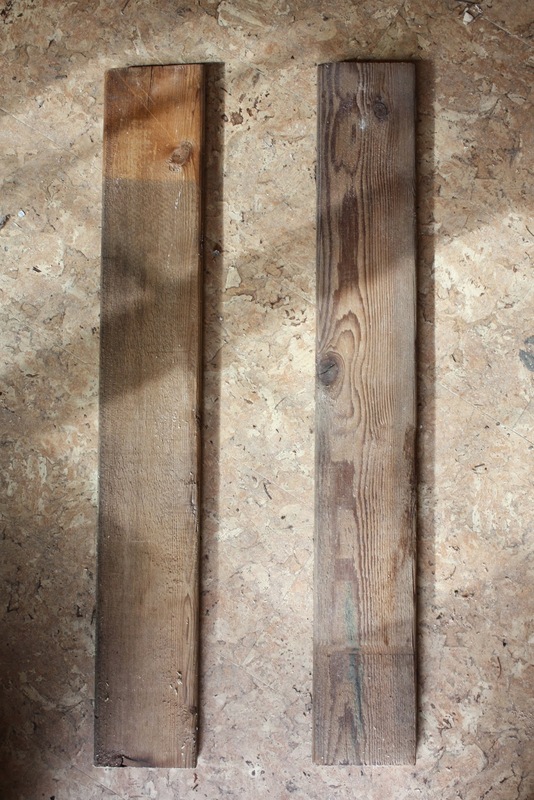 I then sanded it all down and added dark wax and liming wax to create a aged appearance. One other last minute thing I decided to do was add this chippy white hinge to the top which is purely decorative. I thought it just added that finishing touch. 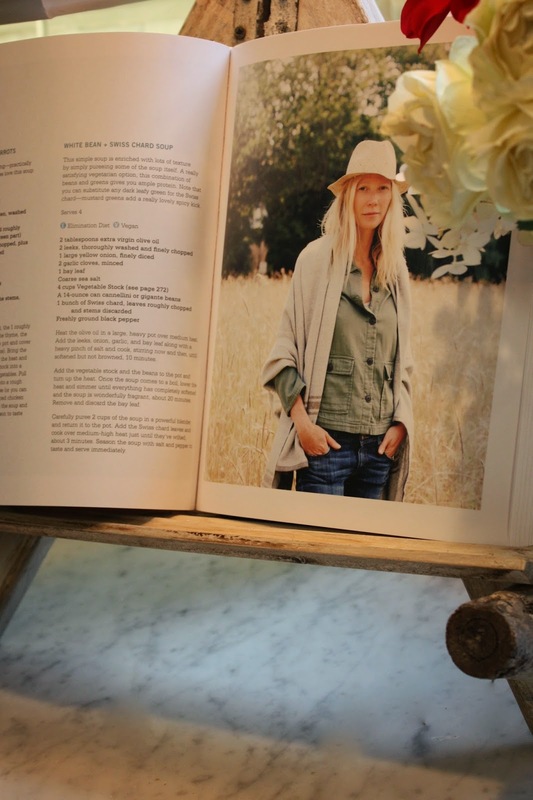 Of course, you don't have to use it just for cookbooks, you can use it for framed photos as well, or how about your I-pad? I hope you liked this weeks thrifty Thursday project! If you have any questions about it, please leave them in the comments section and I will do my best to get back to you! Love so smart! 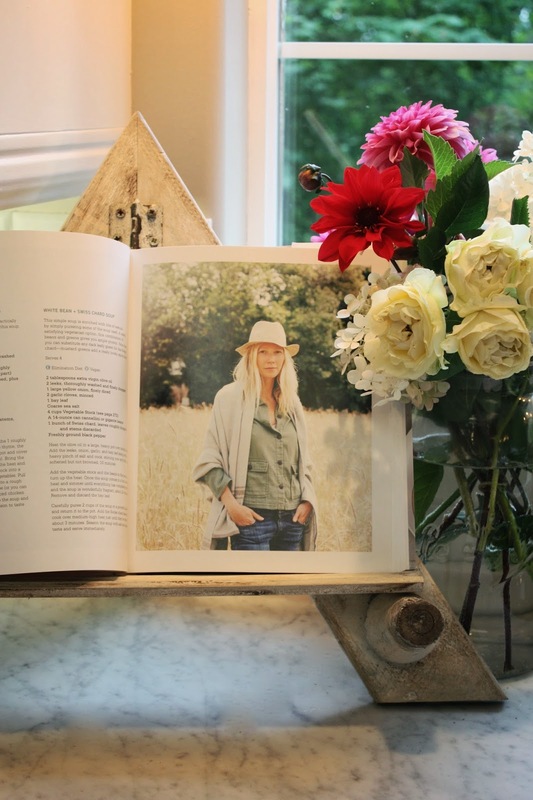 Sarah Jessica Parker has a big book stand in her place...I've been obsessed ever since! Rustic, charming AND functional! Love it! i can totally see how you could use a letter "A" from the craft store but it wouldn't look as good as yours! How cute. What a lovely idea, I especially like it used for the picture. oh my how cute is this. Thanks for sharing. Love it. That is such a great idea! I love the chippy look and you can make it in whatever size. Thank you for sharing.